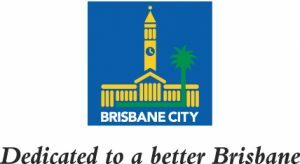 BYS is very excited to announce that we have been awarded a Brisbane City Council Community Development and Capacity Building Grant 2018/19 to extend our research into the risks associated with young people’s couch surfing experiences. Building on the strength of quantitative research already completed (widely featured in national media and presented at the 2018 National Youth Health Conference) BYS will undertake a peer-to-peer participatory qualitative research project to gather and analyse the stories of young couch surfers to identify contextual stressors which negatively impact mental health and safety. Young people who are couch surfing make up one of the fastest growing groups of people experiencing homelessness; and the highest number of young people seeking support services at BYS (31% of all young people assessed). Couch surfers are also found, according to BYS outcomes data, to be more likely to remain couch surfing after support than those who are sleeping rough or in other forms of homelessness (15% remain couch surfing after support, compared to 5% of rough sleepers).